Ok folks, we’re running out of time. Our wrists are tired, we’ve made the blanket, five hats, four scarves, three neck warmers, and a pair of socks. Are we done? Heck no. We have more presents to make, we’re running out of time, we’re running out of yarn (ok, not really but hey it sounds good), need quick and dirty projects to round out the gift giving. SO! Check out these really really CUTE ornaments! The pattern is a free download on Ravelry, designed by none other than Doris Chan. This really cute example was made by none other than Kristin Omdahl. Ok, now you know why I had to blog it. 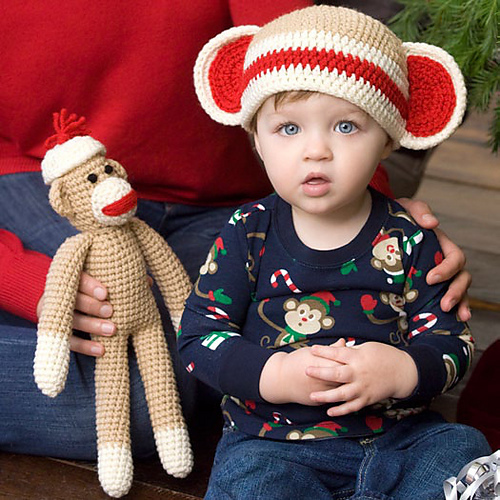 Holiday Crochet: More for HIM! Looking for a quick and dirty project for one of themen in your life? These open mittens are a sure hit! Pattern by Sue Norad, and available HERE. Made with a fairly bulky yarn & an H hook you can whip these out in no time! 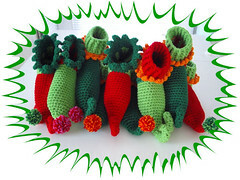 The photo pictured was posted by raelovzyou on Ravelry.com! Keep your eyes posted for more Holiday Crochet projects. Also, a quick reminder that the CLF First Ever book is available on Amazon.com, and through the CLF Website for under $30 AND as a pdf download for only $9.99! I love these elf slippers! 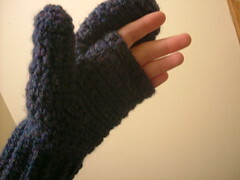 These were made by Graylagran on Ravelry. I think i blogged these or a pattern like these last year, but they tickle my fancy! Somethings just never get old! The pattern is by Carolyn Christmas, and can be found HERE! I just think these are adorable, they work up quick, are durable, and fun for the holidays! For the Mer-folk lovers in your life! My teenage niece is totally into Mermaids! 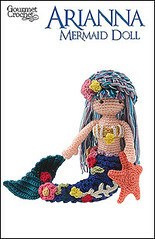 I’ve been searching through the crochet projects on Ravelry.com looking for mermaid-spiration for her Christmas present! I ran across this adorable amigurumi by Caroyln Christmas! 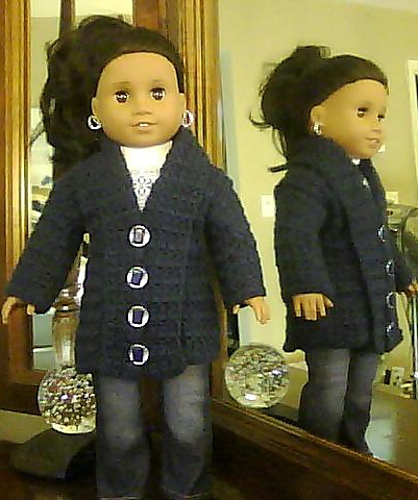 The pattern is available for purchase on Ravlery. It’s too cute! As the count down to the holidays happens, I’ll keep posting quick and easy projects! If you are looking for patterns or inspiration, leave a comment and I’ll do my best to come up with some fun ideas! And don’t forget the CLF First Ever Book can be purchased from the CLF Official Website, both in Hard Copy and as a PDF download! Hello my pretties! 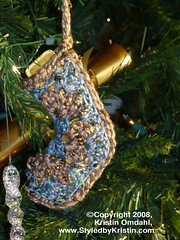 From here until mid-December I will be putting up great holiday crochet ideas. Most of them will be simple, and quick since that clock is tick tick ticking away! These really cute ornaments would make quick and easy gifts for relatives, teachers, friends! I could see them used tied to gift tags instead of ribbons etc…Remember teens are getting ready to move out on their own, and may just love to have a set of their own ornaments! That’s what I’m doing for the neices and nephews this year! 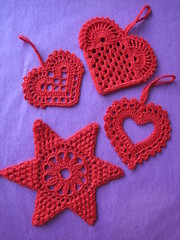 No pattern listed, but I’m sure the internet is just chock o block of great patterns for christmas ornaments! If you read Crochet Today, their Fall issue had the most delightful Christmas Ornaments that really made me think, “Now why didn’t I come up with that!”…Ribbon candy!!! I love ribbon candy, and the gingerbread house is just too fun as well…Check it out online here! Stay tuned, as the projects on Ravelry inspire these gift and decor ideas! You never know when you have a last minute gift that needs hooking up!